Dodleston Honey – Our Local Beekeepers Jon & James have been Busy Bees… We are now waiting for the Summer 2015 harvest as the Dodleston Chapel Stores 1st Official batch of Dodleston Honey flew out of the door as soon as it landed. The bees have a lot to live up to this year, Watch This Space!!!!!!!!!!!!!! • Flexible: spend from £10 to £400 on someone special. • Multi-store Gift Card: can be used in over 17,000 outlets and with many online retailers. Can be used in over 17,000 retailers including Argos, Boots, B&Q, Currys, Debenhams, Hamleys, House of Fraser, JJB Sports, New Look, Pizza Express, River Island, TopShop and many more. Pay for all or part of your purchase. If you don’t spend the full amount, the balance remains on the card. Freshly prepared thai meals delivered to us weekly, menus differ due to sourcing of the freshest ingredients possible. Just reheat & ready to eat! A selection of green, yellow, red jungle or massaman curries, & noodle dishes lamb, beef, fish & vegetarian options available. • Award Winning Travel Insurance. We are stockists of award winning Cheshire Farm Ice Cream. We stock most flavours and promise to never ever run out of Vanilla or Honeycomb. If we haven’t got your favourite flavour in stock, ask and we shall get it for you. Each Patchwork Pate is skilfully cooked with an eye for perfection to create a traditional taste for a growing number of discerning customers. We are situated on the edge of Cheshire. Approximately 4 miles south of Chester city centre in the village of Dodleston. We are the village shop with a difference, serving the lovely villagers of Dodleston to our best ability. We stock a wide range of products, all of the basics & then a lot’s of not so basic… even some quite exotic. Fresh fruit & veg. Flowers & plants that smell like they should. Sweets & chocolates, newspapers & magazines, tobacco products, wines & spirits, frozen food, ice cream, bread & morning goods, loose bacon & sausage. All served with a personal touch that can only come from a traditional village shop. Post Office hours same as shop hours no lunchtime closing… Cash withdrawals always available, Post Collection times: Monday to Friday . 12am 4.35pm, Saturday 10.30am, Sunday times vary so please call on the day! The UK’s largest independent wholefood wholesaler/distributor, specialising in vegetarian, fairl trade, organic, ethical and natural products. 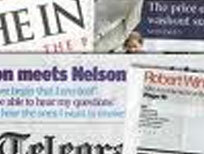 We stock a large range of newspapers and magazines. We also reserve magazines and can order in magazines we don't currently stock if requested. Our drinks section has a large range of wines, beers, ciders and spirits to choose from. 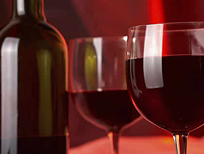 Part of our large selection of wines are from Tanners, the award-winning wine merchant based in Shrewsbury. We stock a large range of breads and morning goods from the Village Bakery. Premium cheeses for every occasion. 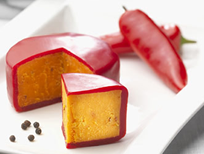 Cheeses that add style to your kitchen, family eating time, when hosting guests, or a late supper enjoying fine wine.